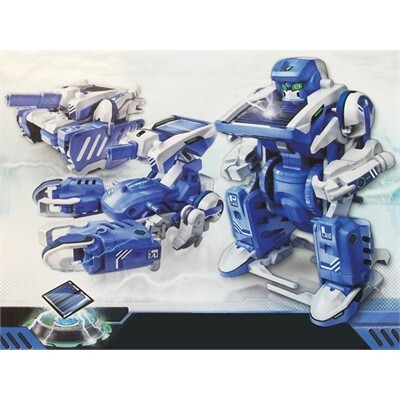 Ingeniously designed, this kit can be transformed in seconds into 3 different intergalactic designs: Tank, Robot and Scorpion. Each design produces its own unique type of solar-powered movement when in direct sunlight. Comes as a kit (approx. 70 pieces) with detailed assembly instructions. Tools you may need: diagonal cutter and screwdriver. No soldering required; suited to intermediate level.